If you are a small business owner,the answer is most likely …YES!!! People start their own business for a variety of reasons. They want to follow their dreams. They want to work in a field they are passionate about. They want to make a difference in the world. For many (me included), they want to be in charge of their own schedule … not be told what/when/where or how to do their work. They want to be charge of their own time, and since they will be the “Boss”, they would hopefully have more “free time”. Free time … what is that? As a busy entrepreneur, you wear numerous “hats” on any given day. You are the head of the Marketing Department, the Accounting Department, HR, Sales … you get the drift, you are the one in charge of everything. Every business decision lands on your shoulders. What they didn’t realize is how time consuming the “running” of the business would be. They want to spend their time doing the work they love. Sadly, many get bogged down by having to handle the administrative side of running a business. That is where having a virtual assistant comes into play. Having a VA handle certain tasks frees up your time to concentrate on doing the things your love about running your business. Tasks that you are the best person to handle … things that grow your business and make money. One of the best business decisions you can make is to delegate / outsource certain tasks to a virtual assistant. Well-informed small business owners know the importance of having an online presence in today’s high-tech, 24/7 world. Social Media Marketing is necessary for all types of business, large and small. The difference is the large corporations have a Marketing Department. The small business – not so much. Unfortunately for the small business owner, social media management is one of those (very) time consuming tasks. On the up side, social media management is a task that many small business owners delegate to their VA. Your VA will work with you to put together a workable strategy and schedule for posting on your various social media platforms. You will decide what content will be posted to each platform, as well as, the timing and the frequency. After you and your virtual assistant have come up with the best social media strategy for your business, you can then hand that task off to your VA, knowing your SMM is in good and capable hands. 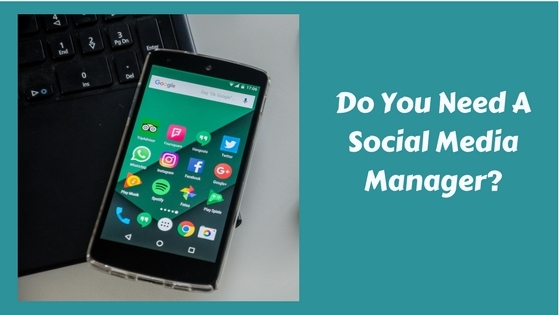 Delegating the task of social media management (or a multitude of other tasks) to a trusted VA will free up some time that you can then use to tackle the other tasks on your to-do list ? Remember, “help” is just a phone call (or text, or email) away ? This entry was posted in Social Media, Virtual Assistant and tagged entreprenuer, Free Time, small business, social media, time, To Do List, Tracy Helps You, virtual assistant on July 29, 2017 by Tracy.